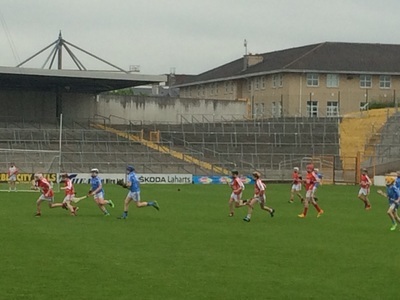 The game had a very lively start with Mikey Keating scoring a goal in the first minute. 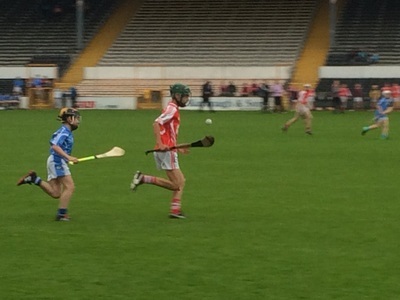 Then Bobbie Brennan scored a brilliant goal, soon after Tadhg Ahern scored a point. It was shaping up to be a great final. Then Bobbie scored 2 quick goals and 3 points. 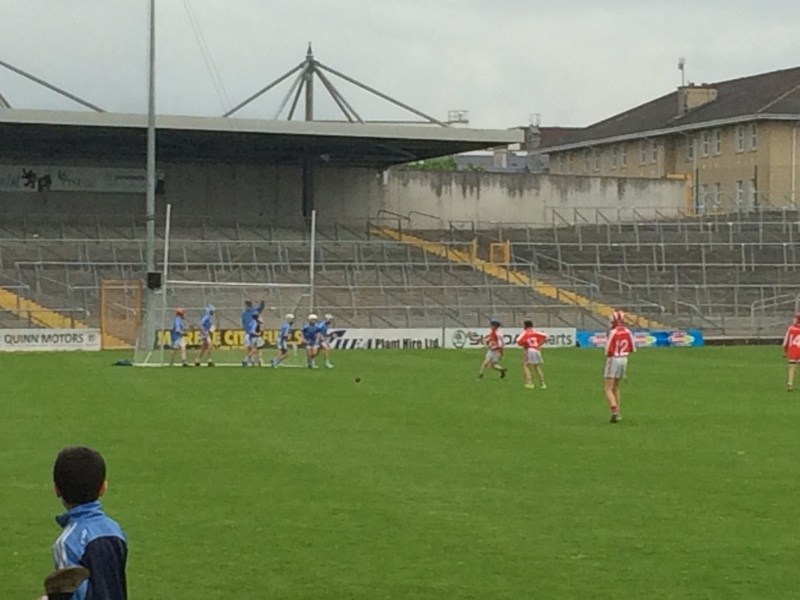 The second half began and Tadhg Ahern won a free straight from throw in but Eoin’s team didn’t take the opportunity. Then Bobbie scored 3 goals and Alex Kenny got a great point. Eoin’s team went up the pitch and Mikey Keating set Tadhg Ahern up for a goal. After that Bobbie’s team scored three goals and that was that. 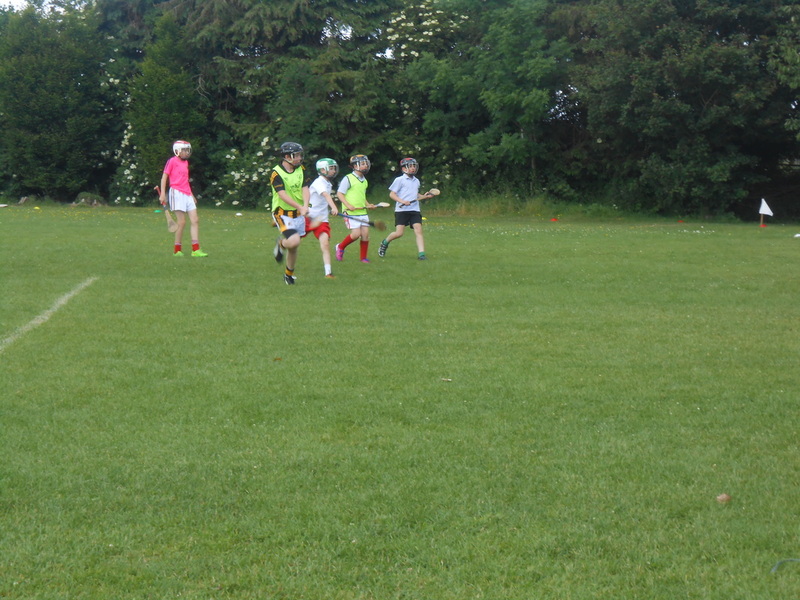 The final score was 9-5 to 2-3 in favour of Bobbie’s team. The teams were: Bobbie Brennan, Alex Kenny, Daniel O’Neill, Eddie Scally, James Brennan, Aidan Keating and Michael Holland. 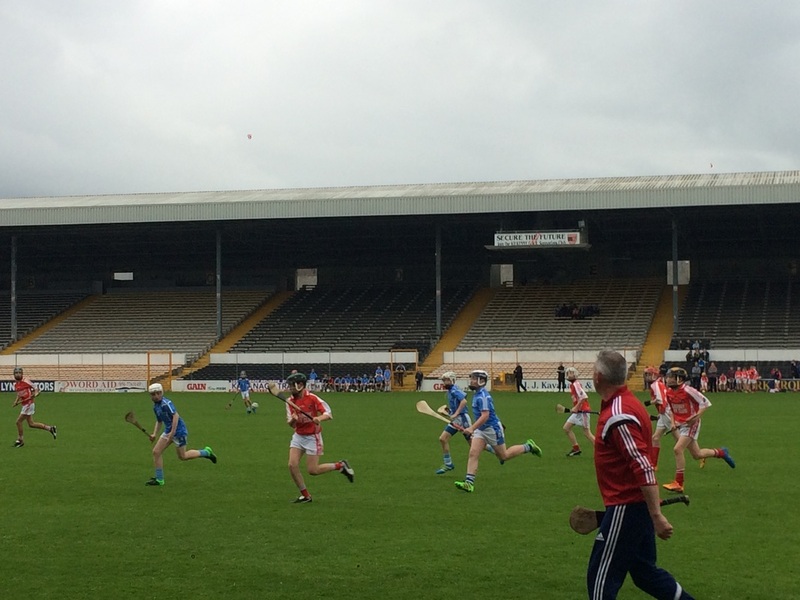 Eoin’s team was, Eoin O’Neil, Donnacha Convery, Fintan Byrne, Jake Kelly, Mikey Keating, Tadhg Ahern and Tomás Carroll. Our hurling team contested the country cup semi-final in Dicksboro on Monday. 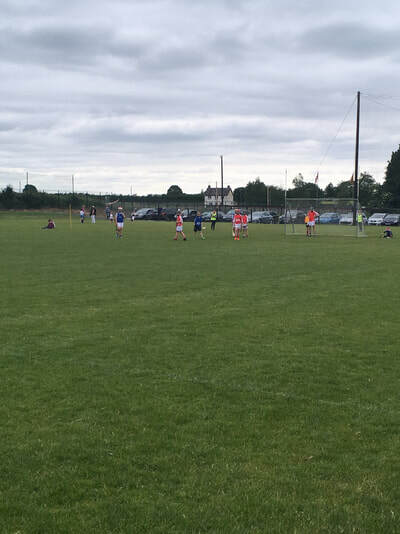 The match started at lightning pace with a quick goal from Castlecomer. Gowran reacted quickly with a super ball from Ben to Mikey and then Mikey passed it to Billy and he put it in the back of the net. 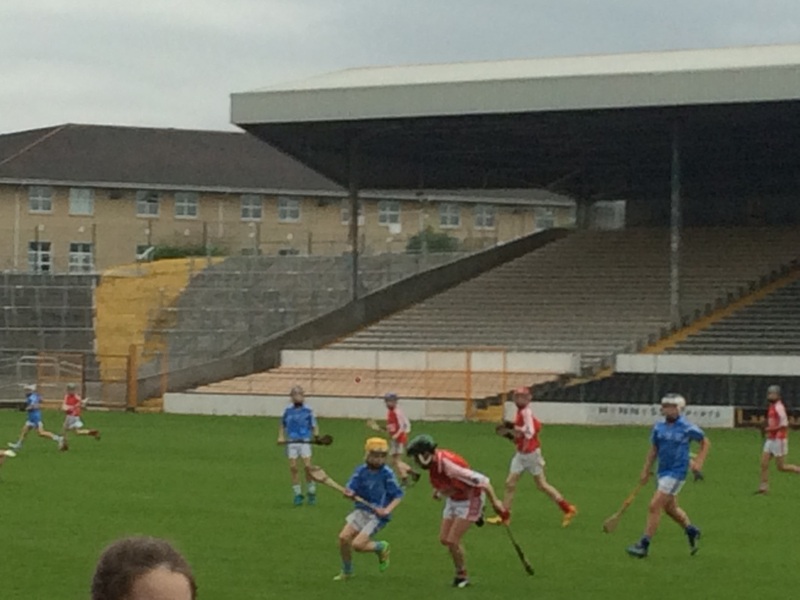 Then Ben got a point before half time and it was 1:1 to 1:4. 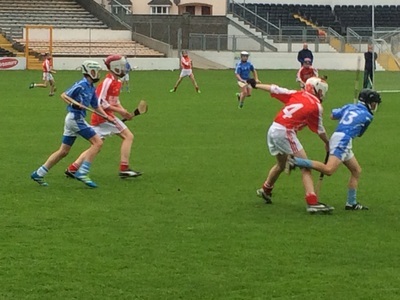 The second half started with points from both teams but Robin got a super point to secure a draw. 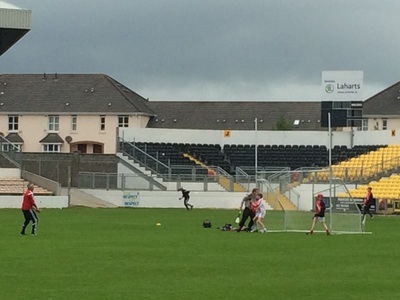 The full time whistle blew with the score 1:7 to 1:7. Extra time started with five minutes a half. 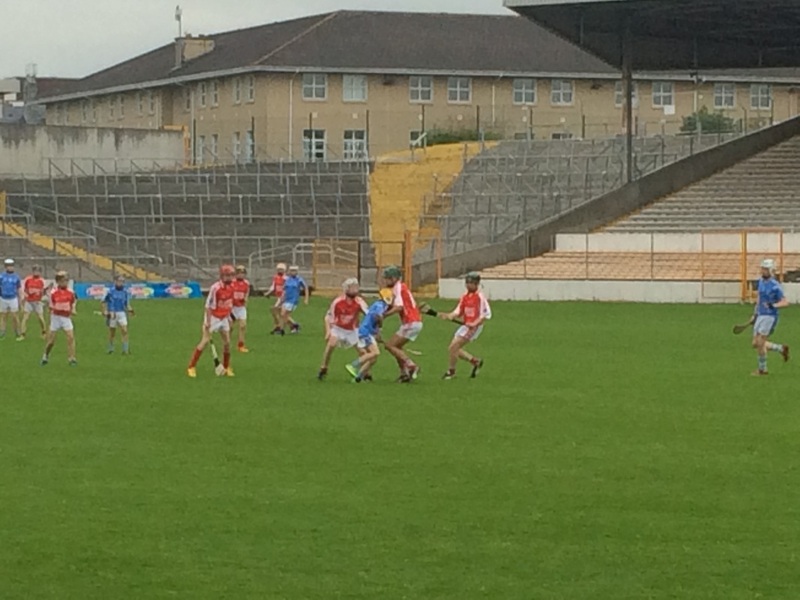 A great point by Ben put Gowran in front but Castlecomer got a quick point before the break. 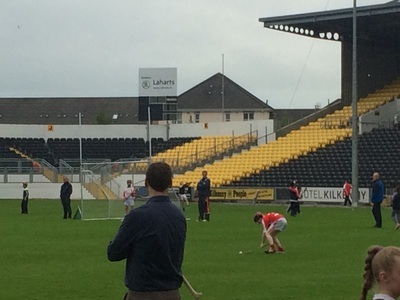 The match restarted with only five minutes to decide who would make it through to the final. There was no score in the second half of extra time until Bobby got a sixty five in the dying minutes to secure a win. 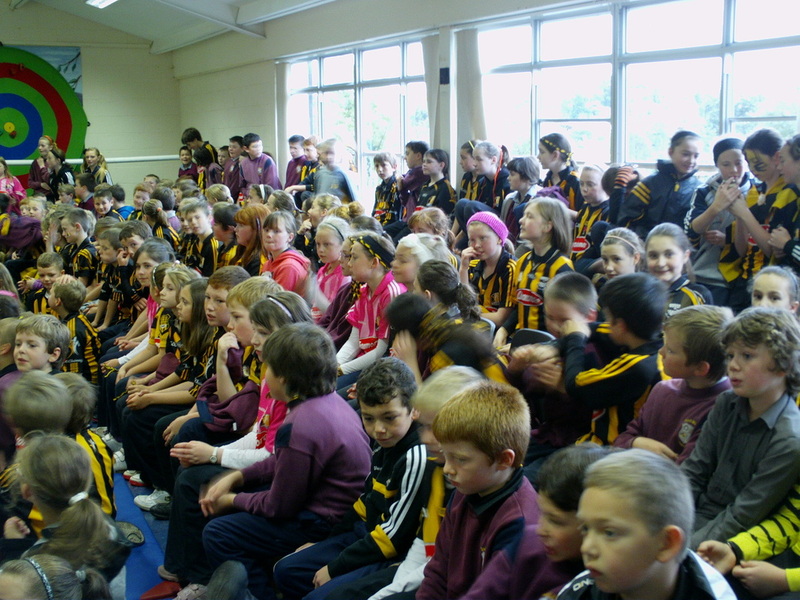 We were so delighted and we will be playing Clara or Kilmanagh in the final. In the first game we bet Glenmore in the Country Cup. 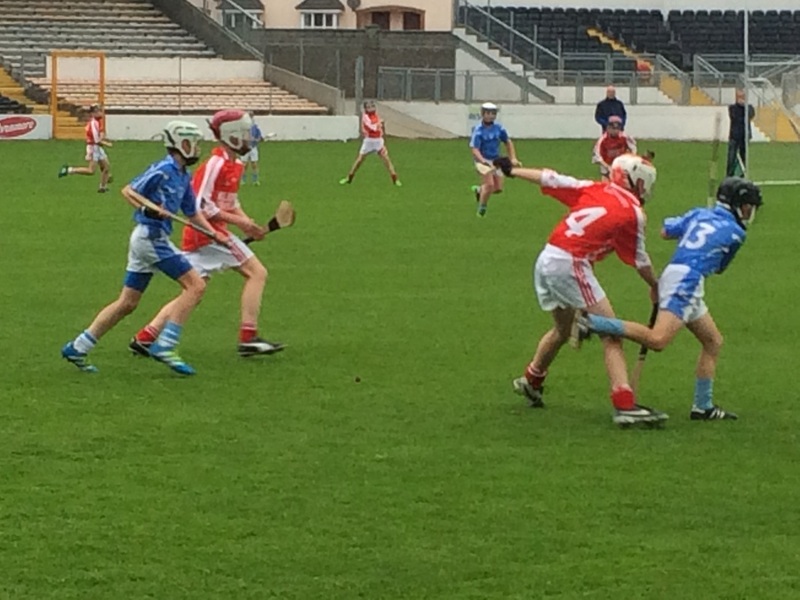 Glenmore 1-1 Gowran 4-5. 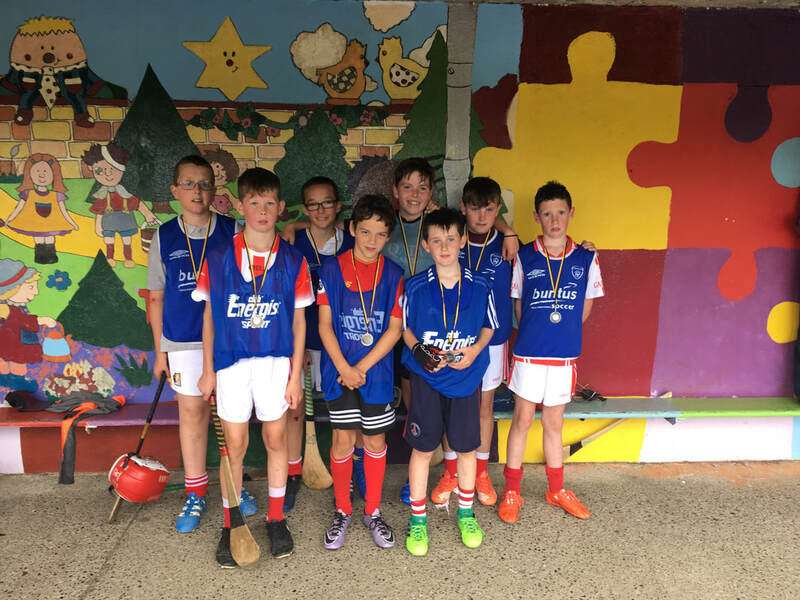 The hurling mini league final took place on the 27th of June 2017 in the new Gowran GAA pitch. 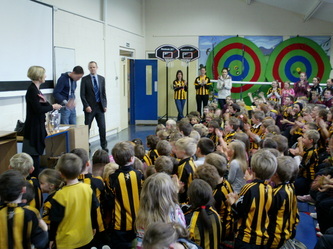 The captains were Padraig Naddy and Jamie Middleton. 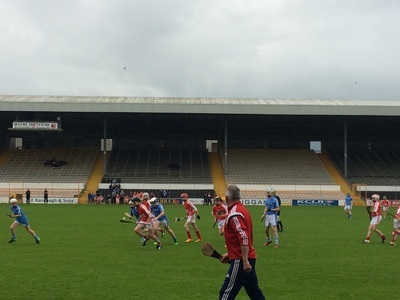 The victors started the game with points from Padraig Naddy. Andrew Corbett in goals kept Jamie Middleton’s side at bay with outstanding saves. Rory Farrell put one past Andrew Corbett for Jamie Middleton’s team. 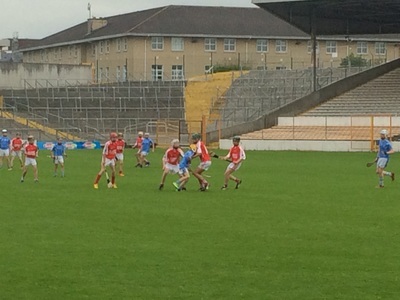 Goals from Cian Phelan and Padraig Naddy found his team winning by seven. 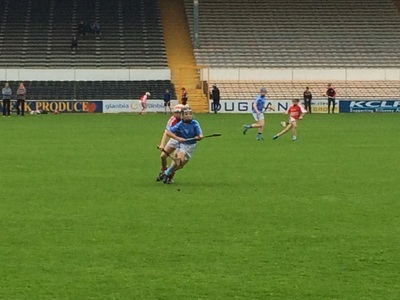 Rory Farrell responded with a point from play and soon after he got points from frees. 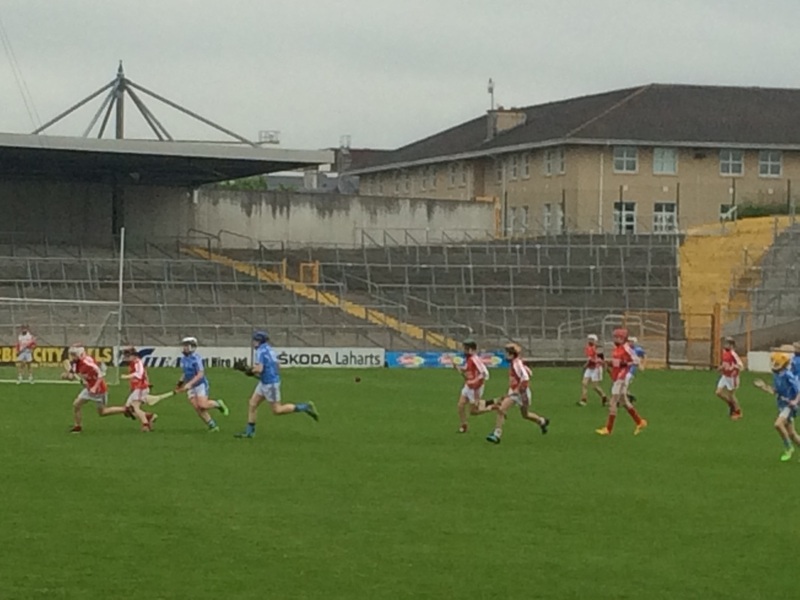 The second half began with a goal from Mikey Keating and scores from Padraig Naddy. Jamie Middleton got two goals from play. 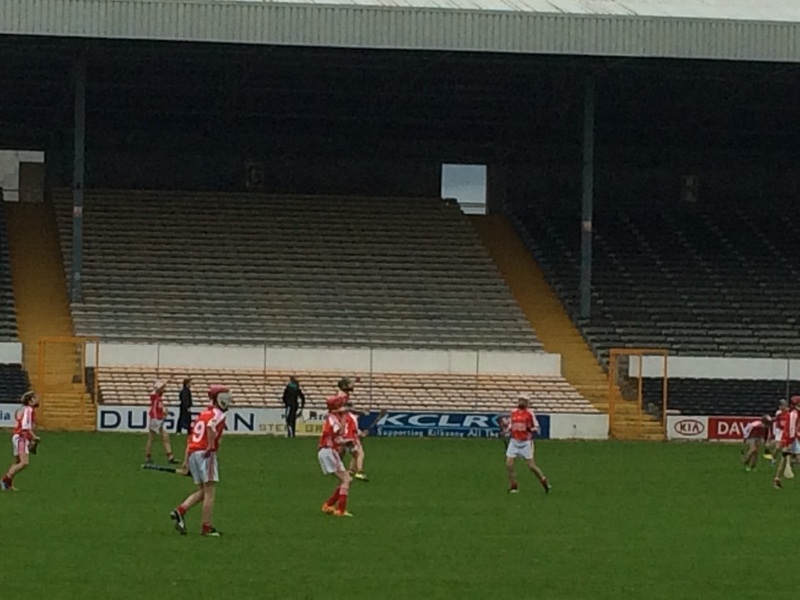 Jake Byrne and Tim Brennan were brilliant in defence for both teams. 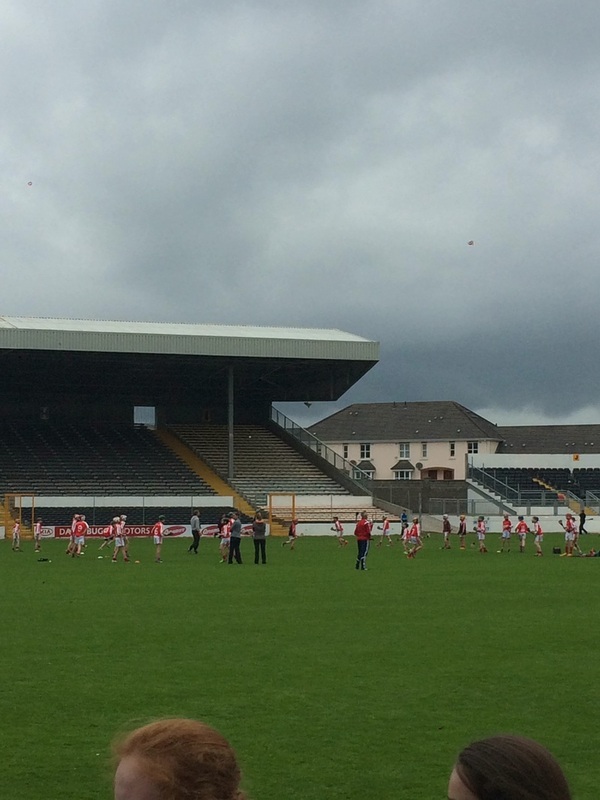 After winning Roinn B last year, this was our first year playing in the Roinn A competition in 30 years. We played many new teams including De La Salle NS, Kilmanagh NS , St. Canice’s NS, Thomastown NS and the Gaelscoil. 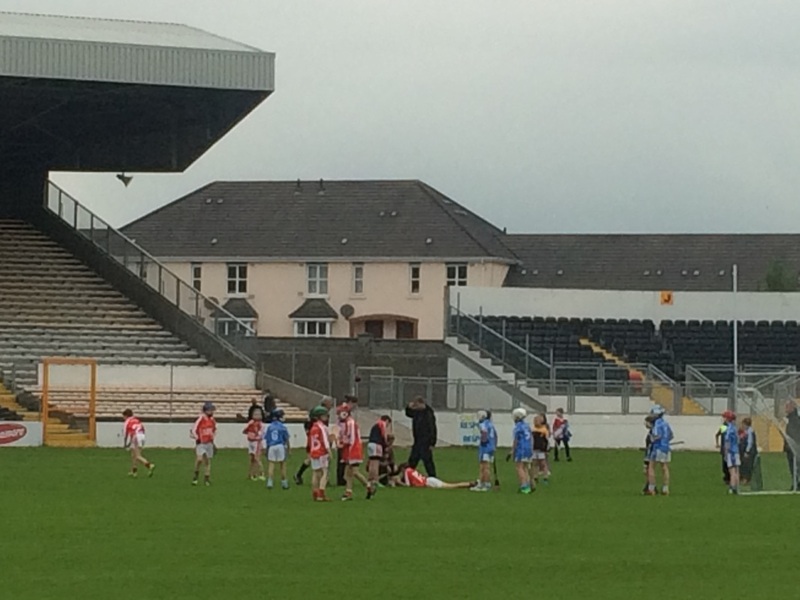 The team played well throughout the league but were unfortunately beaten in the Roinn A semi-final by strong St. Canice’s team. We were delighted to welcome 'Hurler of the Year' TJ Reid to our school this week to present both the girls and the boys their medals for recent Camogie and Hurling wins. 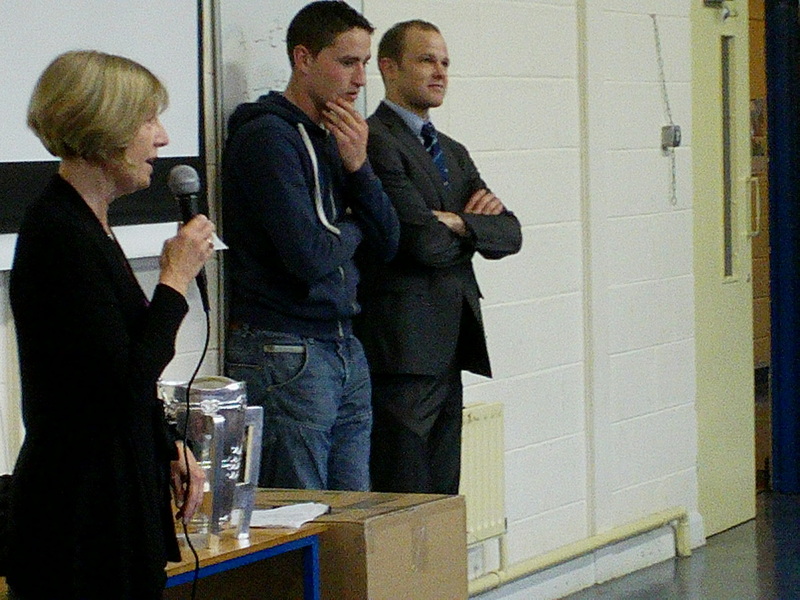 Captain Patrick Langton introduced each victorious player one by one. 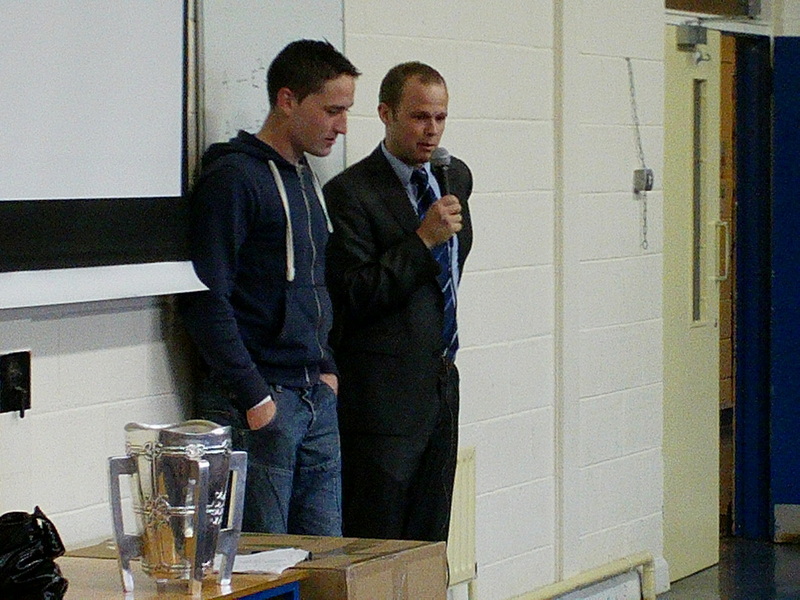 After the presentations were complete, TJ Reid spoke in great detail about the hard work and big effort that needs to be put in to achieve at the highest level. His words were enjoyed by both young and old in the crowd. It was a great occasion for our school. 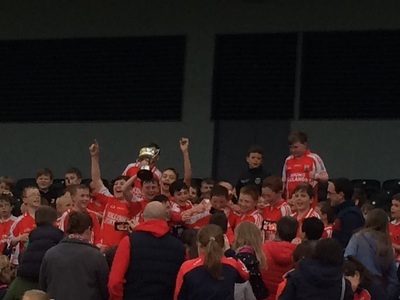 Well done to all again. 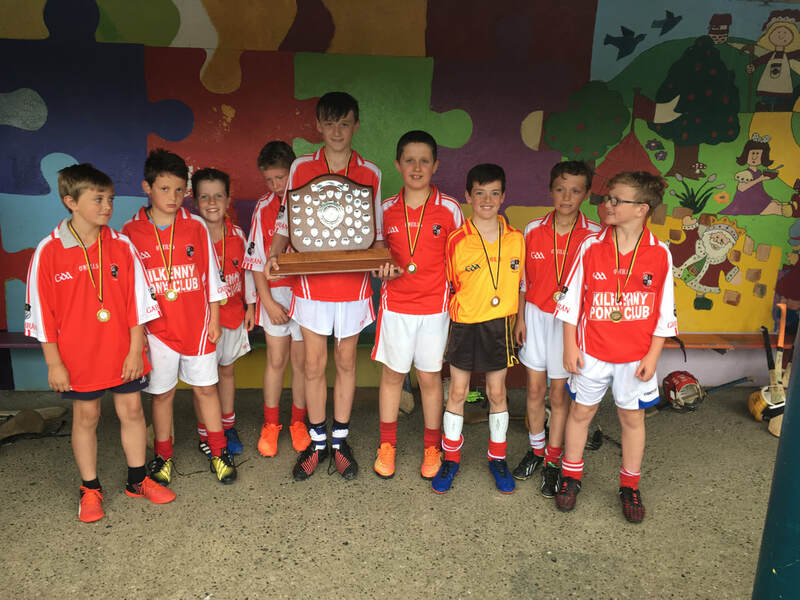 On a wet Friday afternoon David Drennan's team were up against Brogan MacAviney's team in the school's mini league. It was very close in the end with David's team only winning by one point. David's team consisted of Tommy Phelan, Cian Phelan, Charlie Murphy, David Langton, Bobbie Brennan, Eoin Brennan and Sam Brennan (missing from picture Jamie Middelton) while on Brogan's team there was Brogan MacAviney, Luke Doyle, Patrick Langton, Shane Simpson, Charlie Brennan, Alex Preston, James Brennan, Matthew MacAviney and Jake Byrne. It was a great performance by both sides and well done to all. 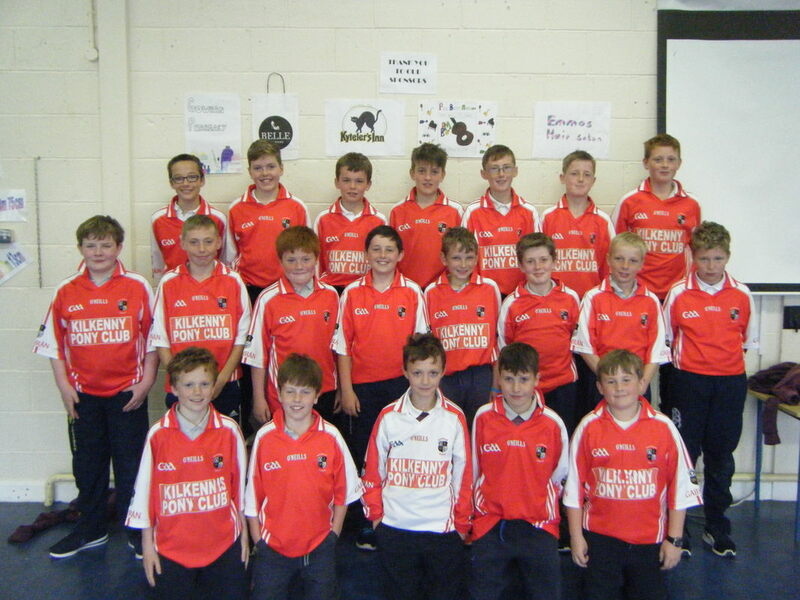 Back row (L-R) : Jamie Middleton, Rory Farrell, Pádraig Naddy, Ben Higgins, Killian Carey, Tommy Phelan, Patrick Langton, David Drennan, Mikey Knox, Charlie Fitzgerald, Jimmy Murphy, Jimmy Lennon, Brogon McAviney, Ciarán Kavanagh. 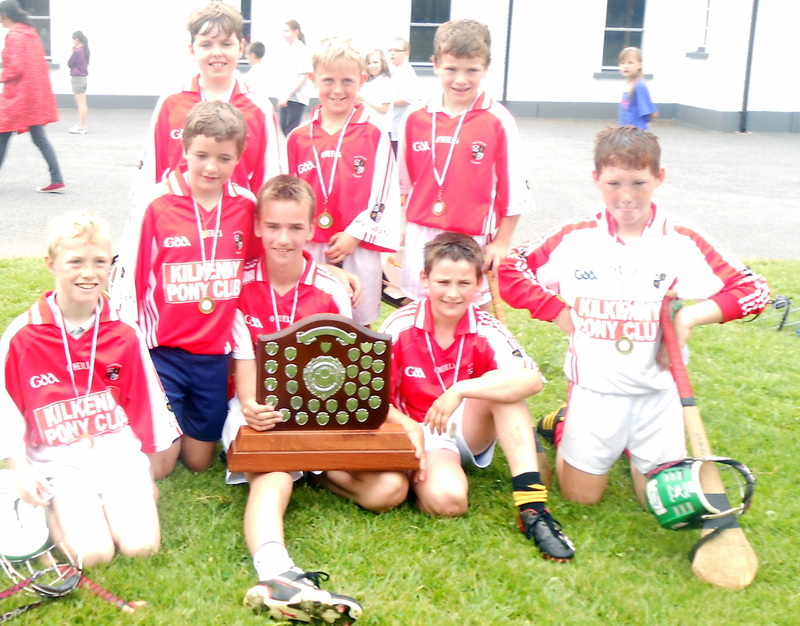 Front row (L-R): Jamie Carter, Matthew Holland, Charlie Brennan, Ben Phelan, Bobbie Brennan, Luke Phelan, Robin Carey, Shane Simpson, Timmy Brennan, Eoin O'Neil, Leonard Farrell. 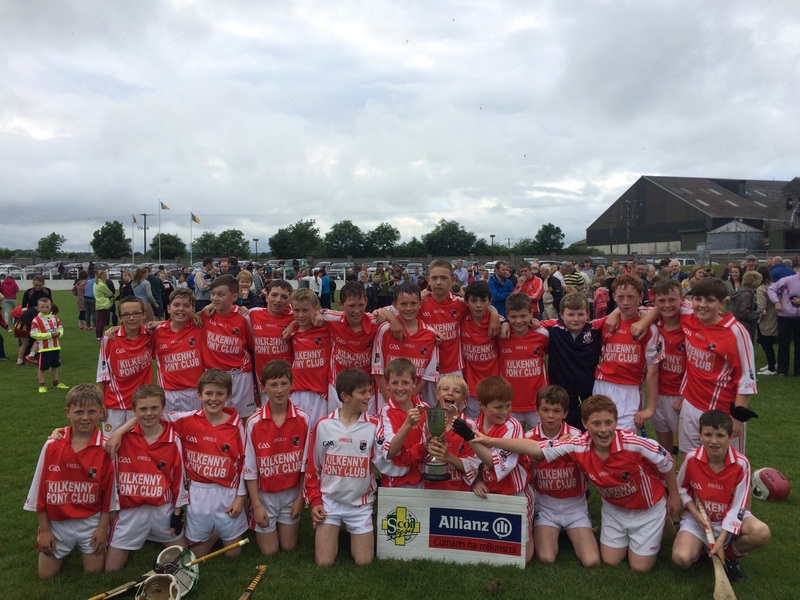 This year we did the double in the hurling, winning both the Roinn B final and The Country Cup. 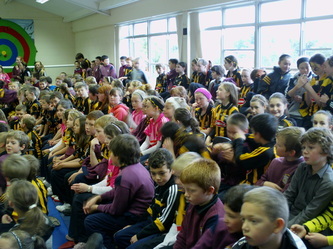 The Country Cup is a competition between Roinn A and B teams, with no town teams in the competition. 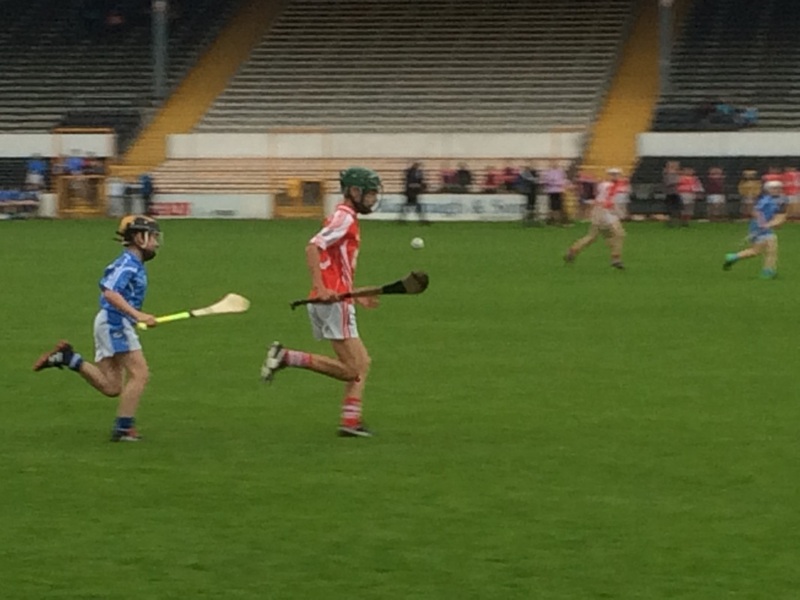 We beat Ballyhale in the first round easily. Then we met Lisdowney and we beat them well too. 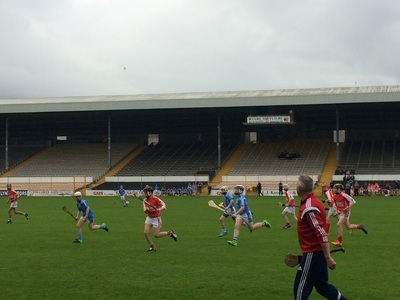 Then came Mooncoin. We expected a great game and we got one. 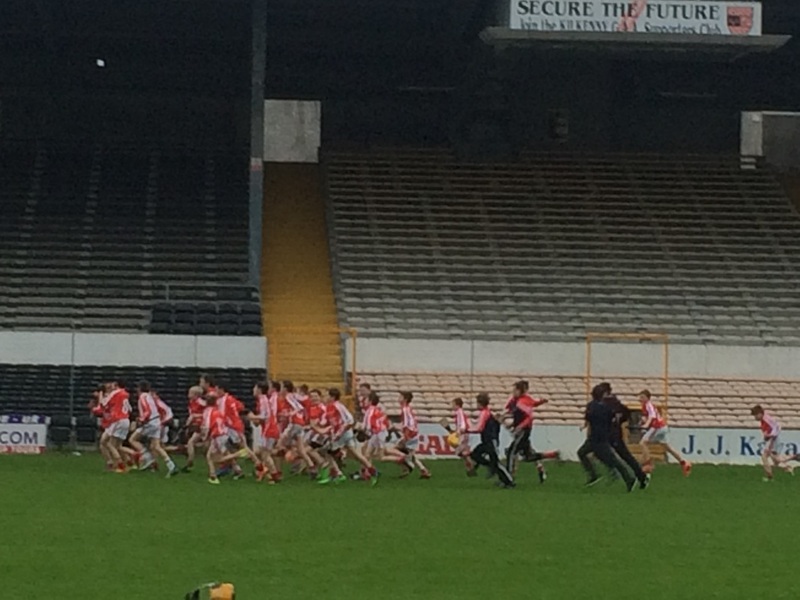 In the end though, beat them too, 2-11 to 1-07. There was a lot of pressure on us as the champions of Roinn B. 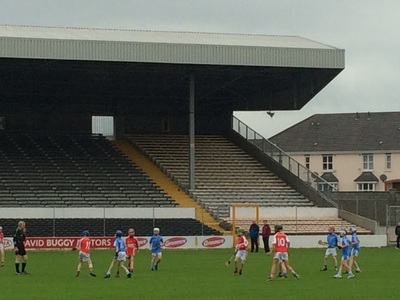 We were to meet Graigue/Skeogh in the final. 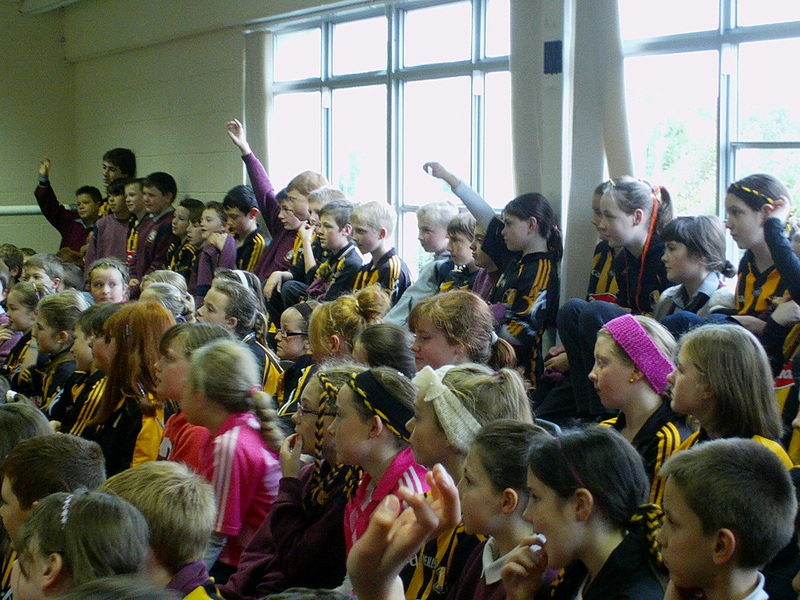 We really had to work hard because they were runners up in the Roinn A competition. We were the under dogs going into this match. We fought hard throughout the game. 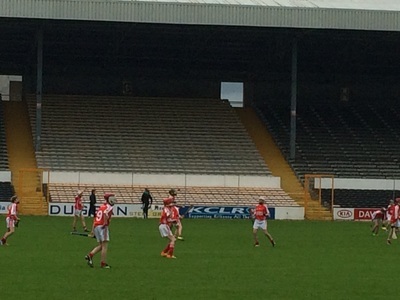 In the closing stages of the game we saw a great goal by David Drennan to put us ahead by 1 point. Then Mikey Knox won a penalty and Killian Carey hit a rocket into the top right hand corner of the net. That gave us a 4 point lead. We were on our way to victory, the backs made sure there were no more scores that could’ve lost it on us. 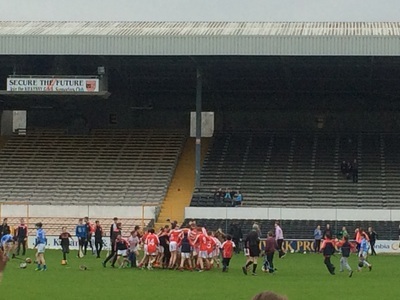 Thankfully the referee blew the full time whistle shortly afterwards and we had done the double for the first time. Thanks to all the supportJ. 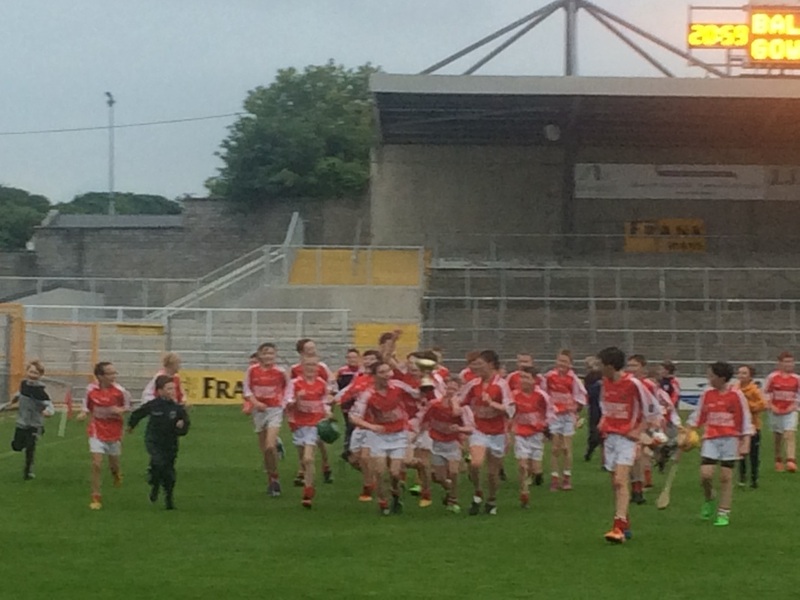 After a fantastic display by the school's hurling team in the Roinn B hurling final, Gowran NS came out on top on a scoreline of Gowran 3-13 to Graigue Ballycallan's 1-05. 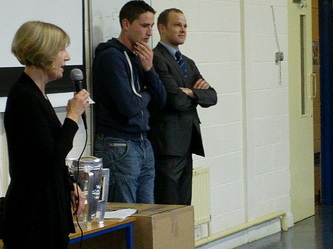 Gowran's Patrick Langton accepted the trophy on behalf of his team-mates. 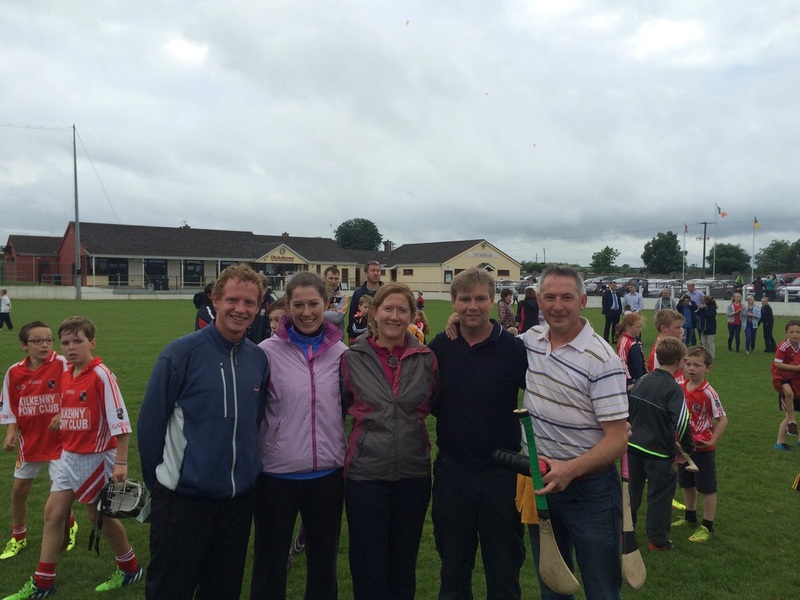 Well done to teachers Ms Murphy, Mrs O' Loughlin, and Mr O' Gorman along with parents Ciarán Phelan and Martin Carey. 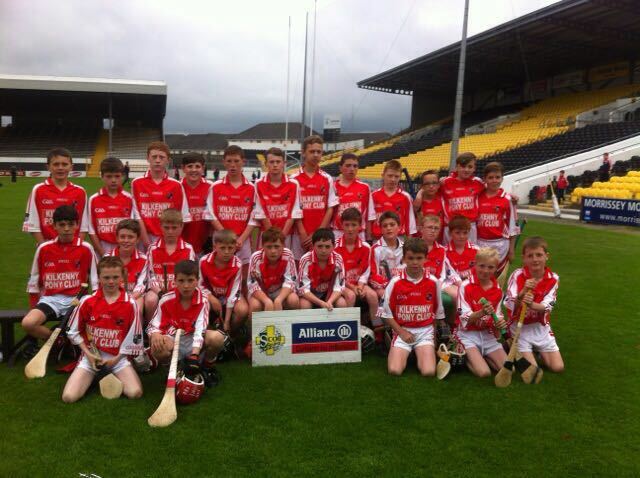 Front Row (kneeling down) L-R : Matthew Holland, Leonard Farrell,Timmy Brennan, Robin Carey, Luke Phelan. 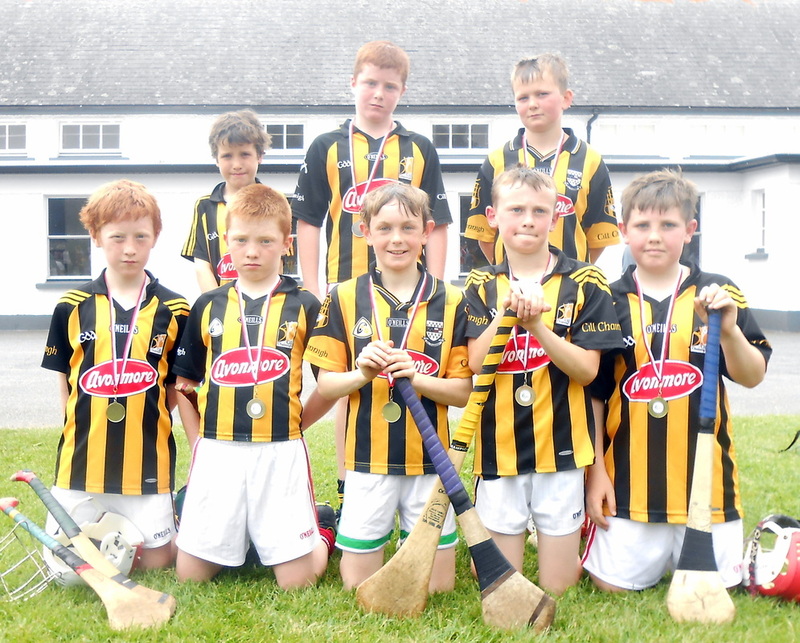 Middle Row (seated) L-R : Mikey Knox, Charlie Brennan, Killian Carey, Jamie Carter, Eoin O'Neill, Luke O'Donnell, Ben Phelan, Bobbie Brennan, Luke Doyle, Shane Simpson. 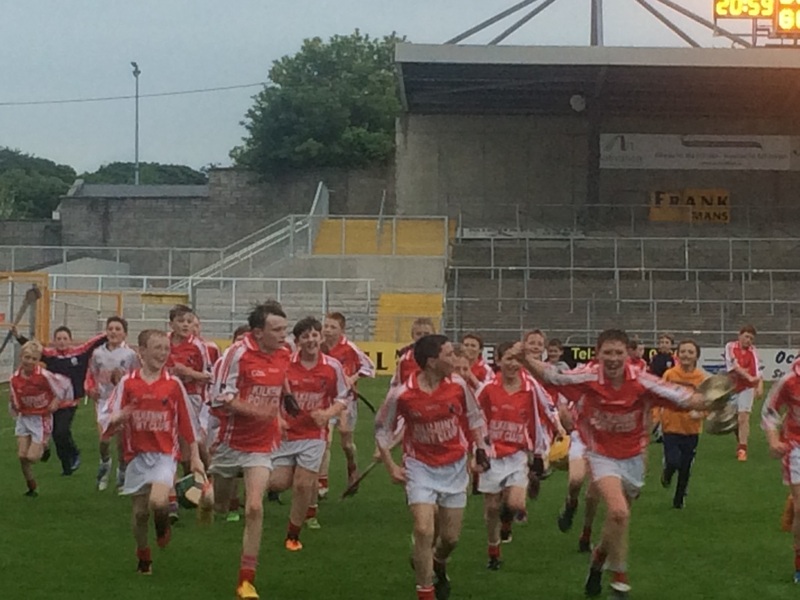 This year the boys won the Roinn B county final. 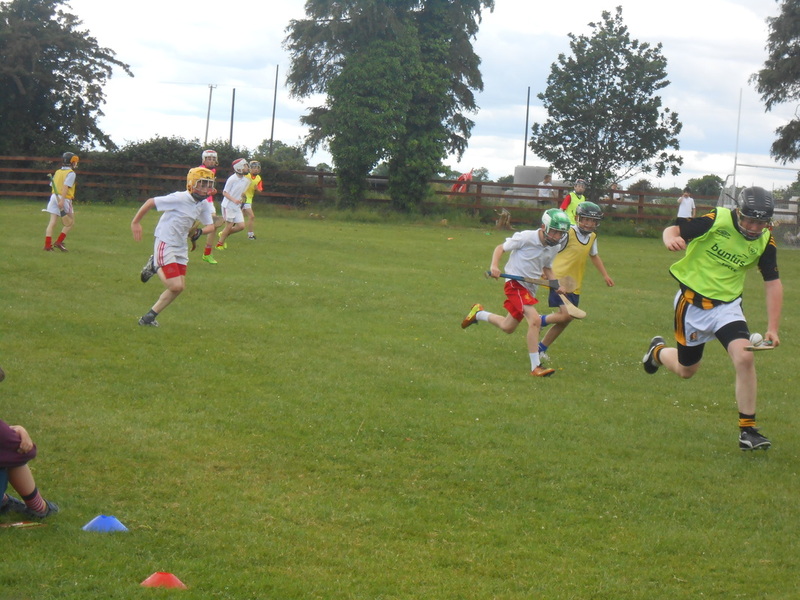 We had a tough group in the league with Conahy and Ballycallan. 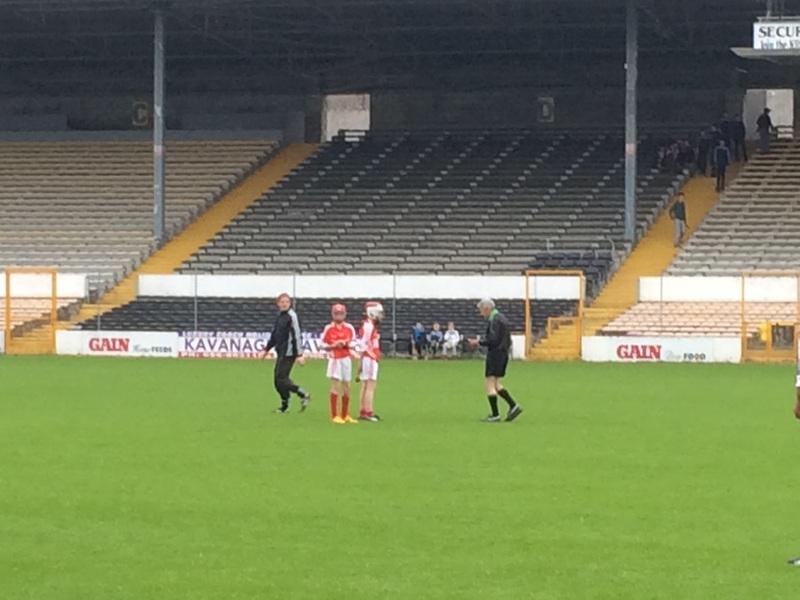 We won most matches during the league but we lost against Conahy by a point and didn’t play Ballycallan because of lack of time, instead we had to flip a coin, but lost the toss which meant we finished 3rd in our group. 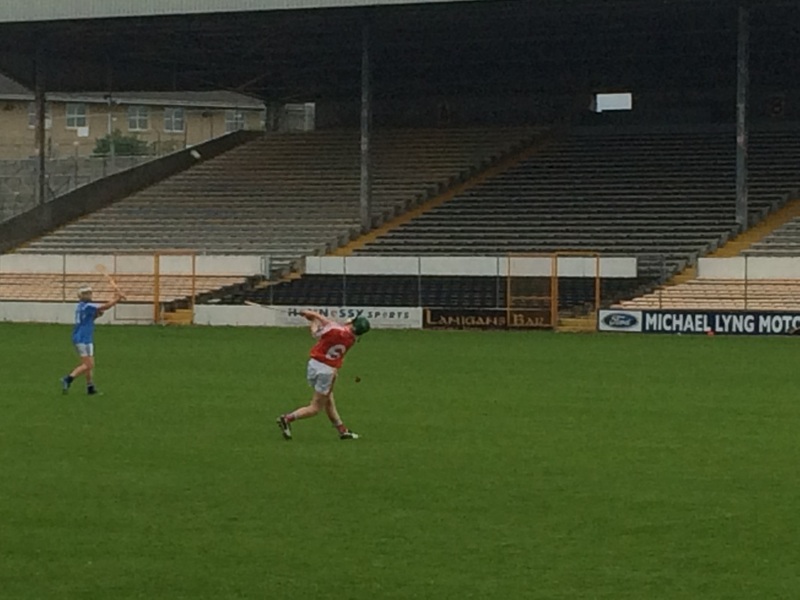 We met Tullogher in the Quarter Final where we beat them on a score of 9-11 to 1-5, a great win. 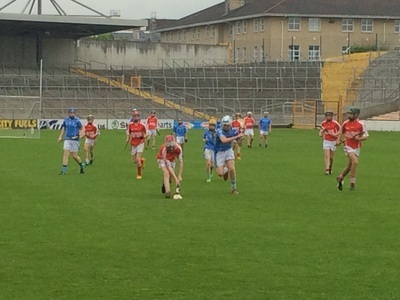 In the semi-final we met Conahy again and it was a great performance by both teams. Some might say it was the match of the season! 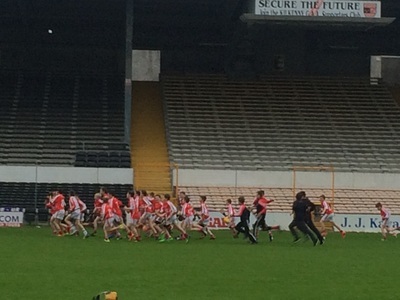 We finished well and won by 1 point after extra time. It was a close one! That led us on to the county final. All we could do now was wait and find out who were meeting us in the final. 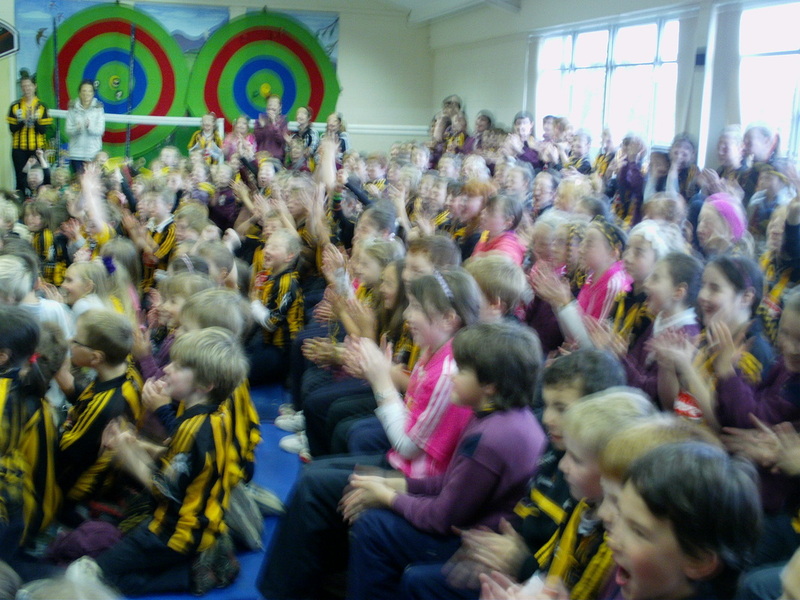 When we heard Ballycallan bet Mooncoin we were shocked. The county final was announced for the 26th of May and the venue was to be Nowlan Park. We were all rearing to go. That evening we came storming out of the tunnel, got our photo taken and got into our groups to start the warm up. Eventually, I went up for the coin toss and won it and chose to play from right to left. So Pascal Connolly the referee threw in the ball to start the final. We started well and got a point after 30 seconds that settled us. At half time the score was Gowran 1-07 Ballycallan 0-04, we were leading by 6 points. After three minutes we got our second goal of the match. We kept the score board ticking over and then we pounced and got our third and final goal. “WE’RE ALL PART OF TEACHERS ARMY, WE’RE ALL OFF TO NOWLAN PARK, WE WILL REALLY SHAKE THEM UP, WHEN WE WIN THE SCHOOLS CUP, CAUSE GOWRAN ARE THE GREATEST HURLING TEAM…. 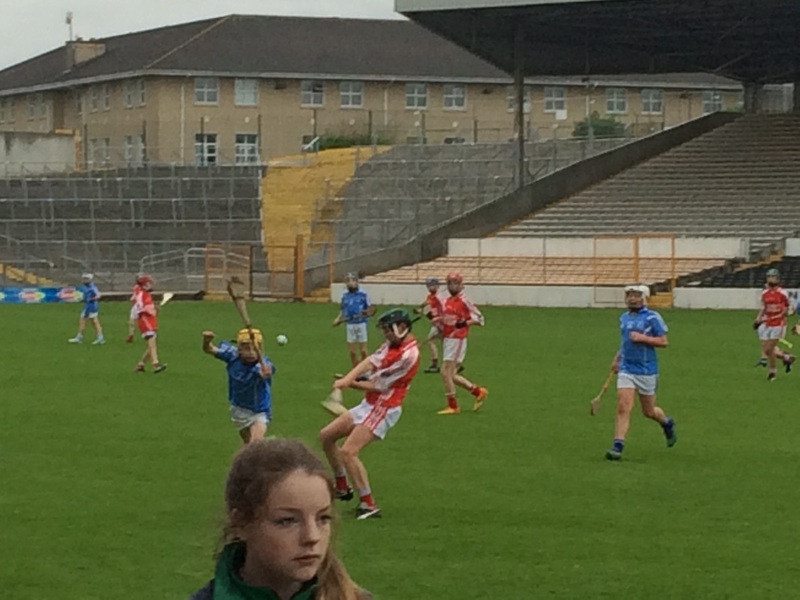 Action from the Boys School Hurling League 2015. 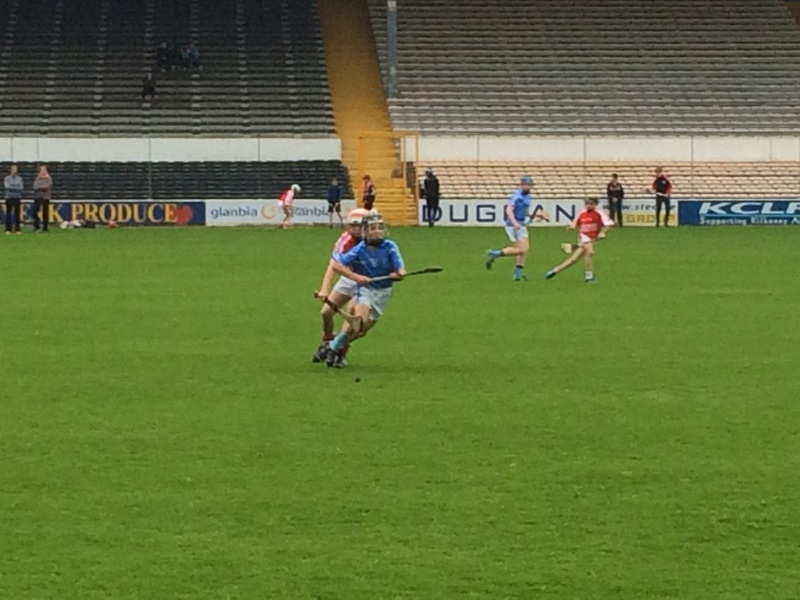 Well done to Conor Fitzpatrick's team who were just too strong for David Holland's team on the day. 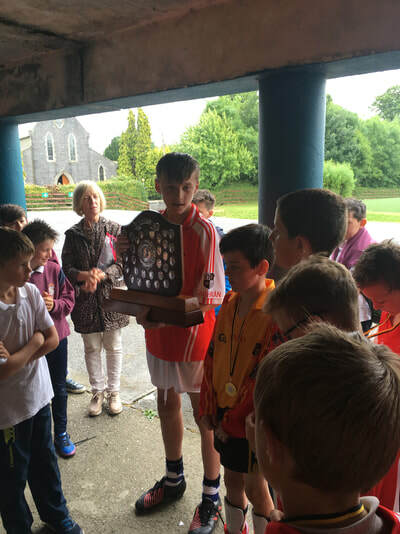 Congratulations to all who took part in this year's league. 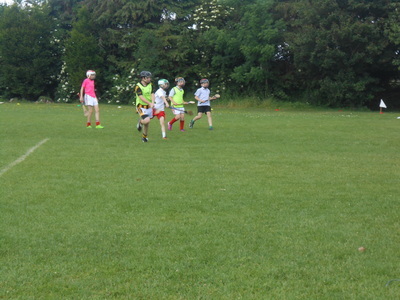 The sun came out to join in the fun on Wednesday as our two finalists battled it out on the school pitch. It was a fantastic match with an end score of 1-15 to 6-2. The two captains were Dylan Carey and Jason Brennan. We were honoured to have Kevin Fennelly referee the match. Many thanks to all who helped on the day. I think all of 6th class did their bit! Congratulations to Jason Brennan's team and commiserations to Dylan's team who put up an excellent fight. 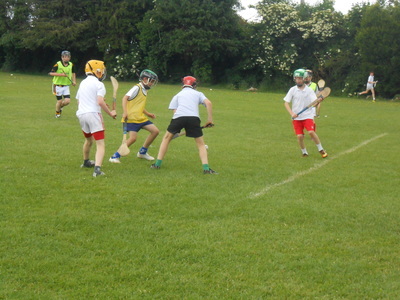 The 4th /5th & 6th Class boys are training for the School League and Championships. Training every Monday, Thursday and Friday. 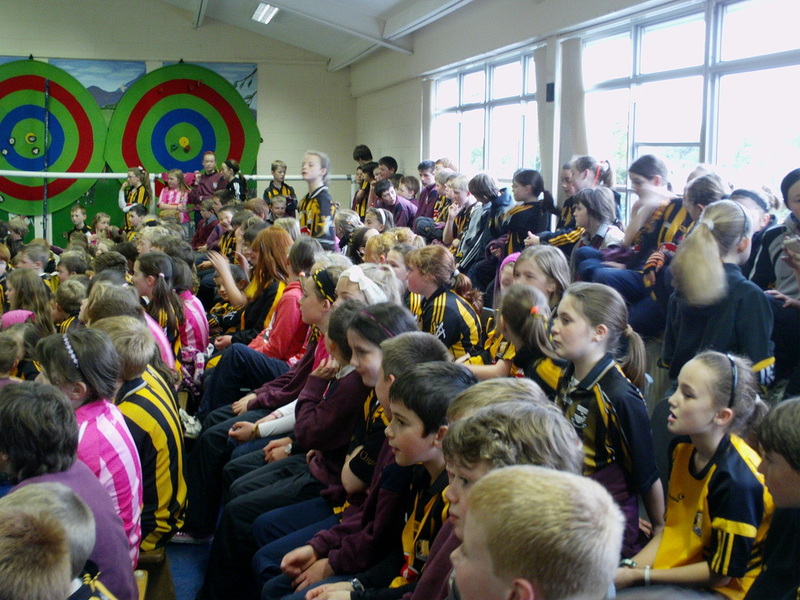 1st - 3rd Class train with Mrs Kennedy on Wednesdays.